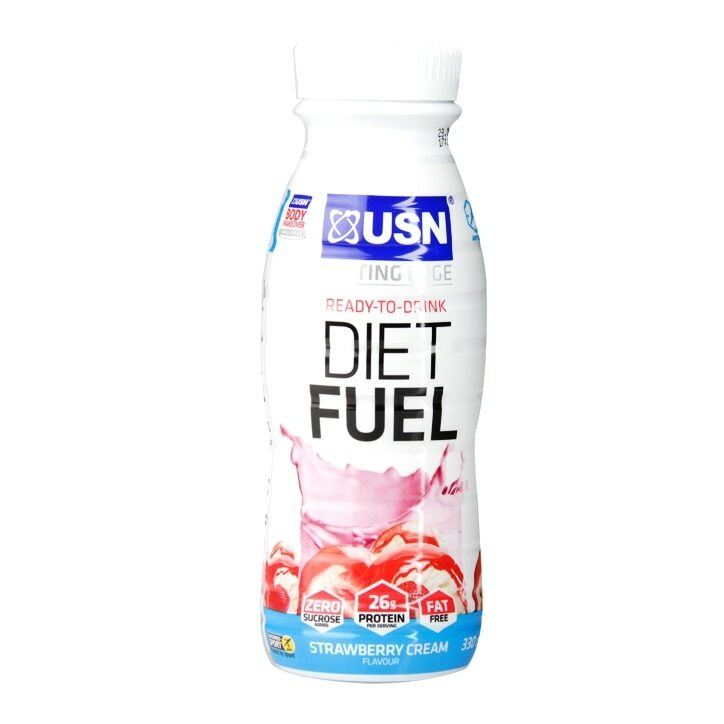 USN Diet Fuel RTD’s (Ready to Drink) is part of the USN Weight Loss Range. This 330ml ready mixed protein shake offers some great health benefits! It’s high in protein, fat free and is a quick, easy and convenient supplement to drink any time of the day, perfect for replacing meals or as a snack in between healthy meals! Simply unscrew the cap, drink and enjoy! Try not to replace more than 2 meals per day with USN products and ensure you combine all meal replacements with a healthy diet and regular exercise. Skimmed milk, Milk protein [Milk protein concentrate (5.6%) & Hydrolysed milk protein], Water, Flavouring, Non-nutritive sweetener: Sucralose, Colourant: E120, Stabilizer: Carrageenan. USN Diet Fuel Strawberry RTD is rated 5.0 out of 5 by 1.